Crocheted garfield and Pooky. . HD Wallpaper and background images in the garfield club tagged: garfield funny john arbuckle jim davis comics pooky. 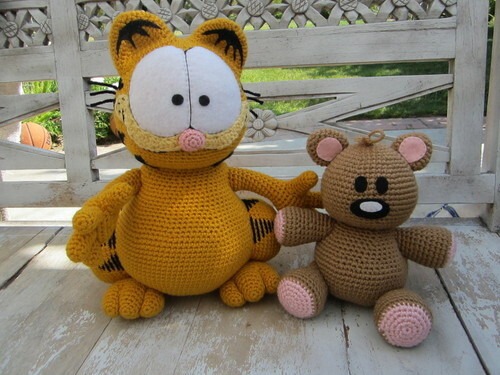 That's the cutest crocheted version of Garfield I've ever seen.